You know I’m a big fan of luxury products, and when it comes to skincare I really think it can pay to get the best you can afford. So with that in mind, today I’m talking about the award winning Temple Spa Skin Truffle Total Face Rejuvenation Cream. This stuff is packed full of amazing ingredients including gold and silk actives, diamond powder and black truffles – ooh err! 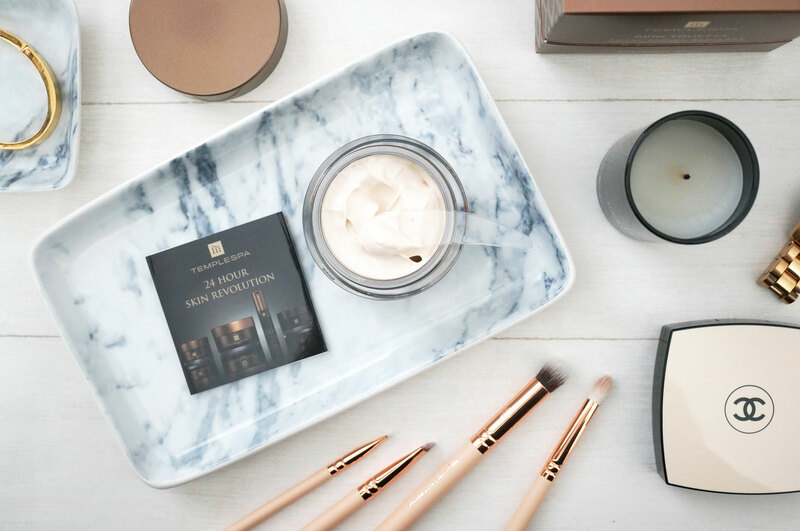 Arriving in a bronze box, this cream really is the height of luxury. Opening the lid reveals a decent sized (50ml) jar of pale truffle coloured cream – as well as a handy plastic spatula and instructions. The cream itself is beautifully thick and and rich, with the very slightest hint of shimmer and a light pleasant scent. Impressively, when tested, 80% of users declared increased radiance and reduced dullness upon immediate application. 100% said fine lines were visibly reduced and 100% said their skin hydration levels improved immediately. HappyBelle-PE: This is the breakthrough phyto-endorphin complex, that mimics the endorphin effect on the complexion, it gives the ‘I’ve just had good news’ glow. Syn-Col: This pro-collagen peptide aids collagen production, it’s deeply penetrating with anti-wrinkle properties. Black Truffles: These brighten the skin tone, acts as a natural antioxidant, and firms and smoothes the skin. Cocoa Butter: Softens and lubricates the skin. Grape Seed Champagne: Another natural antioxidant, this fights free radicals and regenerates skin. Strawberry Extract: Rich in nutrients this is a natural beauty food, used to tone, purify and freshen. Gold & Silk Actives: Free radicals protect against skin stress, as well as being moisturising and antibacterial. Diamond Powder: Used to illuminate the skin, giving an instant glow. 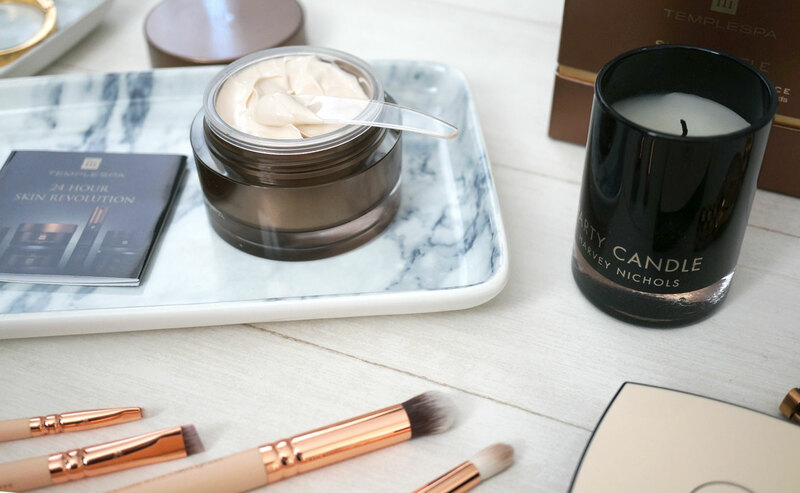 After using this product only a few times, I can already see why it’s won an award and received the highest ever Beauty Bible Anti-Ageing Award score. 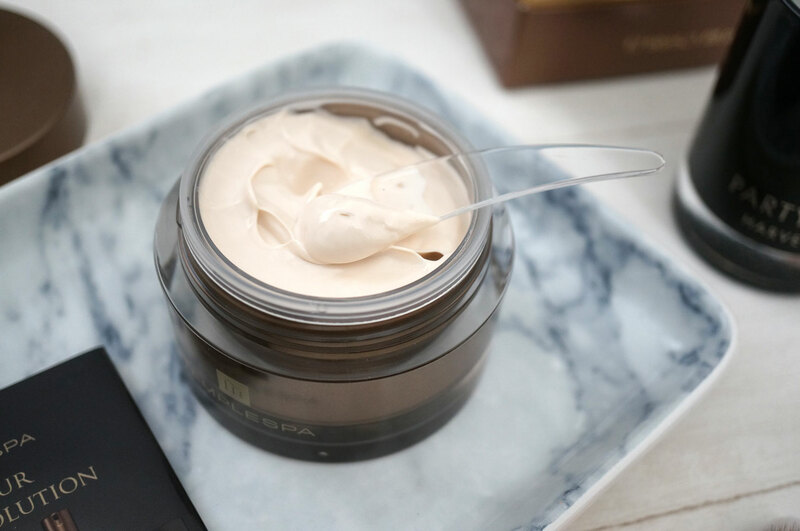 I must admit I initially thought it may be too rich for my skin, but even though it has a thick texture it melts into the skin and is absorbed really quickly, leaving no residue or greasiness, just a healthy looking complexion. My skin definitely felt plumper and more radiant after only a couple of uses, and I think with continued use the results will be even more impressive. I know this isn’t a cheap product by anyone’s standards, but it’s definitely worth the money if you fancy splashing out on payday! Templespa Skin Truffle Total Face Rejuvenation Cream is £85 for 50ml from Templespa. I love the name of it – it even sounds ultra luxurious! Oh I even just love the name of it! Sounds like a great product and exactly what my skin could do with right now!